Materials: Cellophane plastic, ventilator, electric controller, iron frame. Duration of the rhythm of the mechanical breath: 2,40 min. 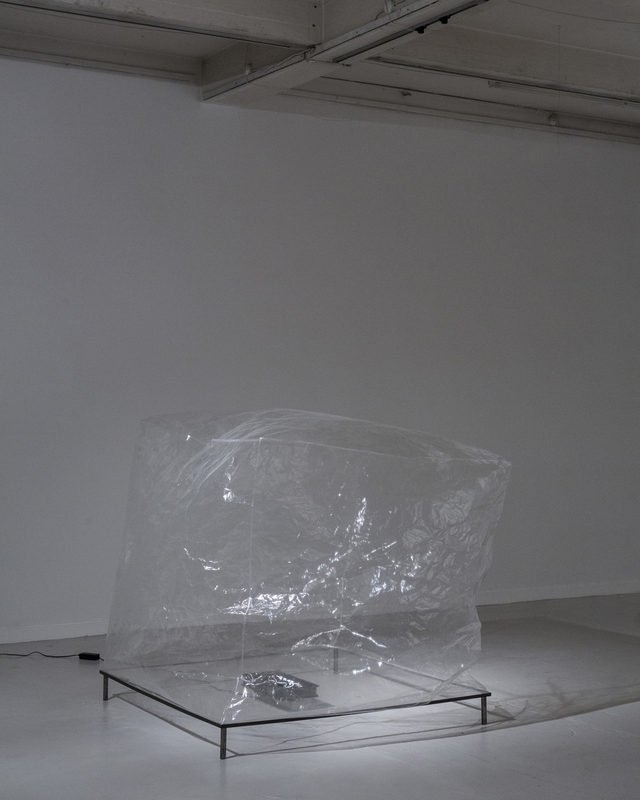 A cellophane bag is repeatedly being filled and emptied with air resembling the chest and even lungs of someone breathing. 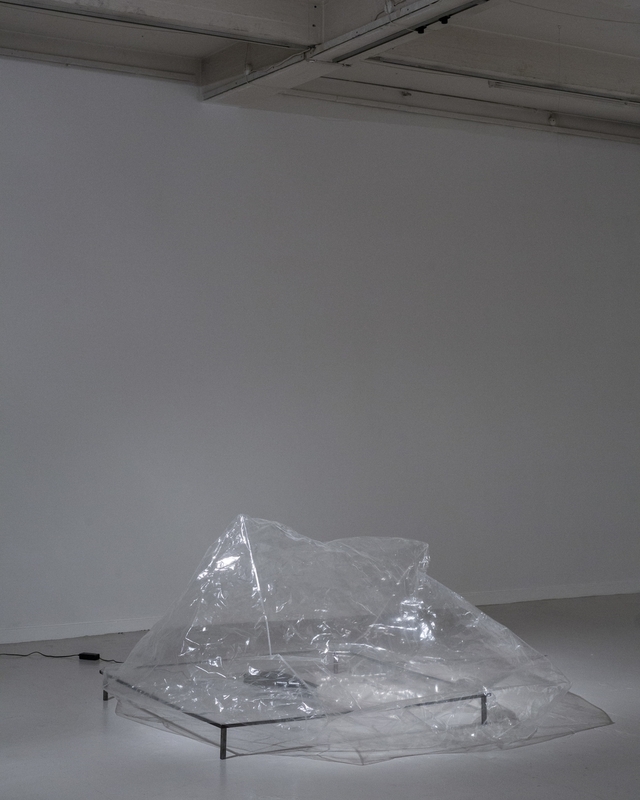 The work consists of an air pump connected to a large cellophane bag. Together they constitute a crackling respiration mechanism which makes the volume of air visible. 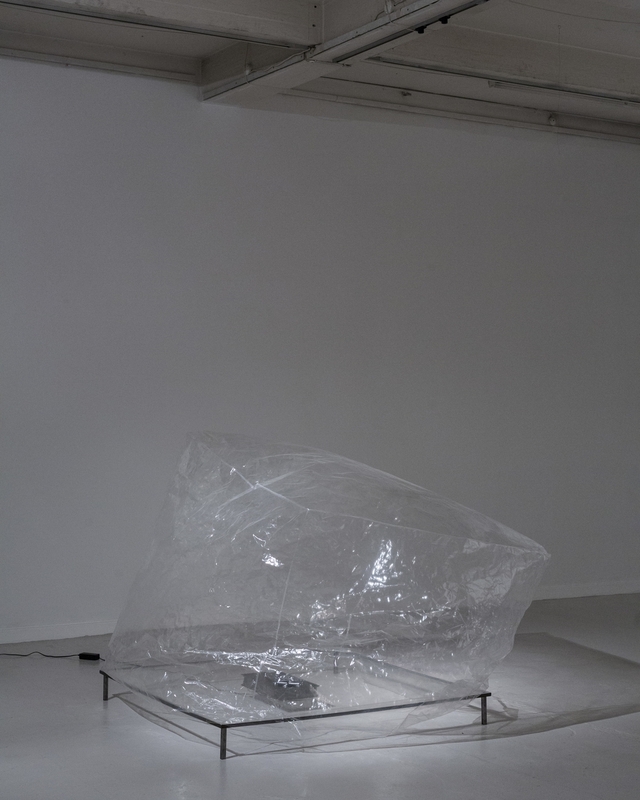 The work is constantly changing its physical mass and its shape due to the ventilated air whereby it shows the boundaries between materiality and immateriality.